There are currently a number of pathways for people wanting to have their hepatitis C cured. A number of pharmacotherapy services, particularly those managed by local health districts, have weekly hepatitis clinics and regular access to fibroscans. You can go to your GP to get on to treatment and there are other specialist hepatitis services in hospital settings. There are a few NSP services (KRC, Redfern, South Court and NUAA) that have clinical services who can support you on to treatment. Other health services are trialling nurse-led models of care. New treatments and treatment pathways make it easier than ever before to be hep C free and there are many people working hard (including at NUAA) to support everyone, no matter who, through treatment. Users News talked to people about how and why they got onto treatment and how it is all going for them. The circumstances are varied but there is a main theme: everyone represented is glad they went on treatment and would recommend it. SAMANTHA IS A TRANS WOMAN WHO IS CURRENTLY HOMELESS. WITH THE SUPPORT OF NUAA peers and a specialist health service, she is treating her hep C and the future is looking good. At present my life is a bit in turmoil. I am not long out of jail. I had accommodation but after I was wrongfully accused of sneaking in my boyfriend, I ended up on the streets. I have never been homeless before and it’s not something I would ever recommend. It's scary; I fear for my life. And it’s really lonely. Those cold, rainy nights huddled in a park rotunda are hard. I have now separated from my boyfriend. I do love him but the last time we used ice, he became violent. We have tried to work on this, but I can't trust him. I have to be strong about this, even though I love him, I can’t take him back. I am a volunteer at NUAA and doing my regular shift helps me feel that I still have some control over my life while so many other things are out of my hands at present. The NUAA staff are really supportive, helping me find temporary accommodation, making sure I keep appointments, making sure I eat. They also helped me get on to hep C treatment after I was discriminated against yet again for living with hep C and decided I never again wanted it to happen. I had a fit at a train station, due to another medical condition I have. I fell and was quite badly hurt, which included smashing my head on the ground. A passerby helped me and he ended up covered in my blood. When I came to, I immediately told him and the ambulance guys that I was living with hep C. I thought it was the right thing to do. Their treatment of me changed instantly. They were no longer concerned about me, instead they were very rude. They acted like, I had hep C therefore I must be a user, so my fit was either caused by drugs or I was just putting on an act to "drug-seek". Either way, I was in the wrong. As a punishment, they stitched my head wound up without any anesthetic, not even a local anesthetic. I find that once anyone finds out I have hep C, I am discriminated against. It's instant. Hep C is not something I want on my medical file anymore. After this happened, I told the staff at NUAA that I wanted to be treated as soon as possible. A NUAA staff member, who has just been through treatment and cleared the virus, encouraged me. She said the new treatments made it all really easy. All the staff at NUAA were very encouraging. I had made up my mind I wanted to be treated, but they organised it all and really motivated me. They made me believe I could do it and that I deserved it. No matter what problems I came up with, they came up with ways to solve them. For example, I was worried that I might not be eligible for treatment because I am living rough at the moment. But the NUAA peer support workers told me that the new treatments are open to everyone living with hep C, no matter what your circumstances, even if you are using. It’s not like the old days when you had to be "stable" and had to have a fridge for your medication. Apart from the fact that the new meds are kept at room temperature, there are services that will hold your meds for you. I was told that as long as I agreed to turn up for appointments, I could get onto treatment. I was referred to the Kirketon Road Centre (KRC) in Kings Cross for treatment. They see people who use drugs for all sorts of medical treatment as well as running an NSP (Needle and Syringe Program) and dosing people with methadone or bupe. I phoned from the NUAA NSP to make an appointment with the doctor and got in later that week. They did all the tests in-house. I had blood tests to double check my genotype and see how well my liver was functioning. I also had a fibro-scan to check my liver health. I was amazed to learn that my fibro-scan results had improved from the last test from 6.5 to 5.6; the staff told me this was because I had stopped smoking. KRC worked out which medication I should be on and even filled the script for me. It was so easy. The whole process took about three weeks and I was on treatment! KRC told me they couldn't afford to replace lost medication and we worked out what I felt I could manage, which was a week's worth. If I do accidentally lose them, I will only be a week down at the most and the treatment would still work. Some people I have met at KRC who are homeless pick up their hep C medication daily. They gave me a pill box with seven compartments marked with the days of the week. This keeps me organised and helps me remember if I have taken my pill. I go back to KRC the same day every week - Monday - to talk about how it is going and get the box filled up again for the following week. A NUAA peer support worker always calls or texts me to remind me to pick up my weekly medication. I'm now into my ninth week on treatment. KRC keep a treatment diary in my file recording any side effects I have, if I miss any doses and just how I am coping in general. KRC have offered me support, without judgement, including counselling if I am not coping with treatment or life in general. I feel respected. I won’t lie and say there are no side effects with the new treatments. During the second week I experienced some cramping - first stomach cramps, then leg cramps. Also I get tired really easily. I have lost my appetite and feel nauseous if I eat, which may be more about depression and anxiety than the hep C medication. I thought I was experiencing side effects - grumpiness, tiredness, headaches and dizziness - but the KRC clinic staff think this is about not eating properly. The good news is that at my last review I was told that my viral load is coming down, so the treatment is working for me. I feel really positive. KRC staff told me they estimate that I should be clear of hep C in another six weeks. BEN FOUND OUT HE HAD HEP C ABOUT A YEAR AGO. HE IS CURRENTLY HOMELESS AND IS ON TREATMENT THROUGH HIS PUBLIC METHADONE CLINIC. I found out this time last year that I was living with hepatitis C. When the test results came back positive, it was really depressing. I didn't really have any symptoms and it didn't really seem to be affecting my life too much but I knew it would in the future. I wasn't happy. I was not looking forward to telling my girlfriend. Luckily she was really understanding and supportive. She did a lot of research about hep C and got a lot of information for me. Then my life went through some change. I was made redundant and my relationship ended in the same week. It was very hard and I ended up homeless, but I was determined to use the time to make some positive changes in my life, to sort my life out. I am on methadone at Rankin Court, where a NUAA Peer Support Worker comes in once a week. He talked to me about going on to hep C treatment. He explained that it was not like the old treatments, that this one has a 97% success rate plus it's only one pill a day, and probably only for three months. To be honest, if I was still working and everything was going well, I might not have considered treatment; I probably would have just made excuses and carried on as usual. But the time was right. It totally fit with my plan to keep moving forward and to become healthy. I was a bit nervous about taking on something like this because I was homeless, but I was told that all the tests would be done at the clinic. They also were happy to dose me there as well, along with my daily methadone, so I didn't have to worry about storing or losing my medication. I was also reassured that the side effects were nothing like those from the old treatments, so it wasn't like I had to cope with being sick on the streets. So I made the decision to go on treatment. Once I had all the info, there wasn't even a question around should I or shouldn’t I - I mean why wouldn't I do it? The Peer Support Worker got the ball rolling for me by making an appointment with the hep C nurse at the clinic. The nurse did my blood tests to find out my genotype and then I had a fibroscan. I saw the hospital liver specialist and he wrote the prescription. That was filled and now when I get dosed I not only get my methadone, I get my hep C pill at the same time. All this took about six weeks and I didn't have to go anywhere special, just keep the appointments at the clinic, which just meant adjusting when I got my dose on those days. The side effects have been minimal. I did get a bit of nausea at the beginning, and I was a bit lethargic. However, that passed by the third week and I’ve been fine ever since. Being unemployed and homeless is quite stressful but I am coping with the treatment, so I would tell others not to let fear of side effects stop them from going onto hep C treatment. It was all so simple, everything has been done in my clinic. I am glad I made the decision to go onto treatment. It has been a really positive step forward and has helped me look after other areas of my health as well. I feel good about myself that I have taken this opportunity up. I'm getting my life in order. I'm now in my sixth week of treatment. I've just had a Liver Function Test and the results show my liver is normal, which is great news. I've still got six weeks to go on the treatment. But it's looking really good. I couldn't be happier about it. HARRY HAS HAD HEP C FOR MANY YEARS. THREE SERVICES HAVE COMBINED TO HELP MAKE HIS HEP C TREATMENT JOURNEY EASIER: AN NSP; A MULTI-FUNCTION HEALTH SERVICE FOR PEOPLE WHO USE DRUGS; AND A METHADONE CLINIC. I've been living with hep C for a long time. My liver is in a good condition, I think because I don't drink alcohol and I have a good diet. My Liver Function Tests are always fine. I didn't think I had any symptoms from having hep C. But I had found out a bit about hep C and knew that symptoms would develop over time, that my liver would get worse. 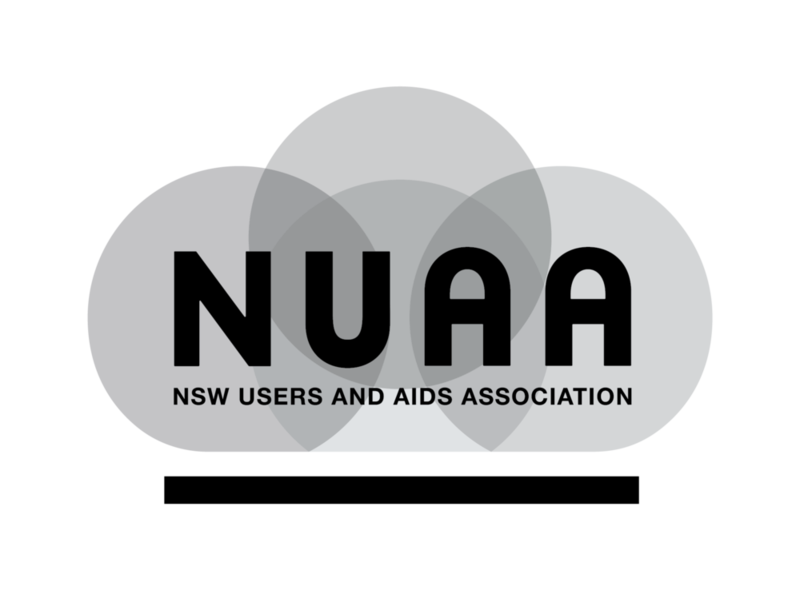 One of the NSPs (Needle and Syringe Programs) that I pick up equipment from is the NUAA NSP in Surry Hills (corner of Crown and Albion Streets). They run a weekly health clinic with a NUAA Peer Support Worker and a Kirketon Road Centre (KRC) nurse on Thursday afternoons. That's where I got my blood tests done as well as my fibroscan. I didn't have to book in - I just turned up and they saw me. I didn't even need a Medicare card or any ID. The NUAA worker and KRC nurse talked to me about what to do next. I got my fibroscan score on the spot which told me how my liver was doing and I had to come back the next week for my blood test results that would confirm my genotype and provide information about what sort of treatment I should be on. They told me that there were three new treatments and which one I would be put on depended on which genotype of hep C I had. They said the new medications were just pills - no more needles in the stomach; that most people were only on treatment about 12 weeks; that the side effects were minimal; and best of all that the success rates were amazing - better than 90% chance of clearing the virus. The KRC nurse told me that KRC would provide me with medical support including the actual medication and that if I wanted to go ahead, the NUAA peer support worker would make an appointment for me on the spot. They also offered me to support while I was on treatment. I decided to get treatment because it seemed so obvious and so easy, with all the encouragement I was being given. If anyone reading this is given the chance and support to go on the new treatments I say go for it you are being given an opportunity to get a big health problem fixed, you've got to take it. It was a chance to get rid of a major medical condition for me. By clearing hep C It's another thing I don't have to worry about anymore. I also found out these medications are very expensive - thousands of dollars. I have been thinking that you never know when the federal government might decide to tighten up who can get them cheaply on the PBS. Remember the dental scheme? So I say, while they are on offer and people are keen to treat and support people who use drugs, we should grab this opportunity with both hands. It only took about two weeks from my blood tests till I was on hep C treatment. I am a bit forgetful sometimes and I worried I might not remember to take the pills, but they even found a way around that one. I am at a public clinic for methadone and I have to attend their daily - no takeaways. So KRC organised my script to be sent to my clinic. So every day when I pick up my dose, I also pick up my hep C treatment. It’s one less thing for me to worry about. Everyone always wants to know if there are any side effects from the new treatments. I admit I did experience a few but they were not enough to make me regret the decision to go on treatment, just some nausea for the first couple of days and a couple of weird dreams. My blood tests have shown that since starting treatment my cholesterol has gone from zero to five. It's a bit concerning but KRC are monitoring the situation. I'm hoping it will right itself when I finish the treatment. I was told I'd probably cleared the virus the first week on treatment but I still had to finish the whole program. It is now two weeks since I finished treatment and I am hep C clear. I still have to go back to KRC in three months just to have follow-up blood tests, but it looks like treatment has really worked for me. The funny thing is, I thought I had no symptoms from the hep C but the first thing I noticed now that I have cleared the virus is that my fingernails are stronger and clearer; my skin has cleared up. I'm getting older and have age-spots but I've noticed they seem to be fading. Also I have more energy. I really feel brilliant. I would say to anyone out there living with hep C who thinks they have no symptoms you won’t recognise yourself once you clear the hep C. One pill, once a day for up to 12 weeks what do you have to lose. Support is out there, if you get the chance to go on the new treatments go for it.